Area: 92,391 sq. km. ; includes continental Portugal, the Azores (2,333 sq. km.) and Madeira Islands (828 sq. km. ); slightly smaller than the State of Indiana; located in Europe's southwest corner bordered by Spain (North and East, 1,214 km.) and the Atlantic Ocean (West and South, 1,793 km.). Major cities: Lisbon (capital, metropolitan area pop. 2.1 million); Porto (metropolitan area pop. 1.9 million). Terrain: Mountainous in the north; rolling plains in the central and southern regions. Climate: Maritime temperate (Atlantic-Mediterranean); average annual temperature is 61°F. Temperatures may drop into the low 30s (°F) at night during the coldest months, with daytime highs in the 50s and 60s. The remainder of the year is normally sunny with minimal rainfall. Days are pleasant, with temperatures seldom exceeding 95°F, except in the southern interior of the country; afternoons and evenings are breezy, with nighttime temperatures in the 60s and low 70s; May-October (dry and warm), November-April (cool with rain and wind in the north, mild in the south). Nationality: Noun and adjective: Portuguese (singular and plural). Population (2011 est. ): 10.6 million. Ages 0 to 14 years — 1.6 million (male 830,611; female 789,194). Ages 15 to 24 years — 1.2 million (male 609,177; female 585,072). Ages 25 to 64 years — 5.9 million (male 2,917,633; female 3,013,120). Ages 65 years and over — 1.9 million (male 787,967; female 1,099,715). Education: Years compulsory: 12. Literacy (2008) — 94.9%. Health (2010): Birth rate: 9.5/1,000 (1.07 male/female). Death rate — 10.0/1,000. Infant mortality rate — 2.5/1,000. Life expectancy — 79.2 years. Work force (2010): 5.57 million. Government and services (59.8%); industry and manufacturing (28.5%); agriculture and fishing (11.7%). Branches: Executive: president (head of state), Council of State (presidential advisory body), prime minister (head of government), Council of Ministers. Legislative — unicameral Assembly of the Republic (230 deputies): PS=74, PSD=108, PCP=14, CDS/PP=24, BE=8, PEV=2. Judicial — Supreme Court, District Courts, Appeals Courts, Constitutional Tribunal. Services (75.4% gross value added): Wholesale and retail trade; hotels and tourism; restaurants; transport, storage and communication; real estate; banking and finance; repair; government, civil, and public sectors. 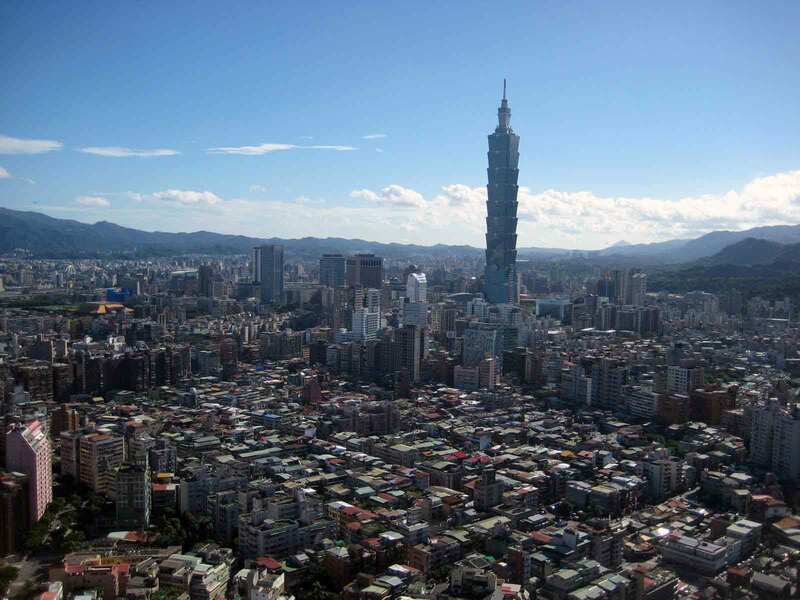 Trade (2010): Exports: €36.8 billion (approx. $28.3 billion): machinery and tools 14.9%; textile materials, clothing and footwear 13.7%; vehicles and other transport materials 12.4%; wood, cork, paper and wood pulp 9.2%; other 49.8%. Imports — €55 billion (approx. $42.3 billion): machinery and tools 16.3%; oil products 14.7%; vehicles and other transport material 14.1%; chemical products 10%; agricultural products 9.5%; other 35%. Export partners — Spain (26.6%); Germany (13.9%); France (11.8%); United Kingdom (5.5%); Angola (5.2%); Netherlands (3.8%); Italy (3.8%); United States (3.6%); Belgium (2.9%); Brazil (1.2%); other (22%). EU 27 (74%). Import partners — Spain (31.2%); Germany (13.9%); France (7.3%); Italy (5.7%); Netherlands (5.1%); United Kingdom (3.8%); Belgium (2.9%); China (2.8%); Nigeria (2.4%); Brazil (1.8%); other (23.1%). EU 27 (75.6%). U.S. trade with Portugal (2010): Exports: $1 billion: transportation equipment (21.9%); computer and electronic products (15.2%); agricultural products (7.7%); machinery (7.5%); all others (47.7%). Imports — $2.1 billion: mineral fuels, oils (28.5%); transportation equipment (10.2%); wood products (7.9%); paper (6.6%); all others (46.8%). Foreign direct investment (FDI, 2010): Incoming FDI by industry — wholesale and retail 39.3%; manufacturing 24.4%; financial and insurance activities 18.2%; information and communication activities 5.6%; consultancy, scientific, and technical activities 3.1%; real estate 1.2%; construction 1%; electricity, gas, water 0.6%; other 6.6%. Incoming FDI by country in euros (total €35 billion; approx. $26.9 billion) — Germany 18.3%; France 16.7%; United Kingdom 13.8%; Spain 13.6%; Netherlands 10.3%; Luxembourg 7%; Brazil 5.5%; Switzerland 5.2%; Belgium 2.4%; Ireland 1.8%; other 5.4%. Portuguese FDI abroad by country in euros (total €6.8 billion; approx. $5.2 billion) — Luxembourg 18.5%; Brazil 17.1%; Spain 13.5%; Netherlands 12.1%; Angola 3.3%; Poland 3.2%; United States 2.7%; United Kingdom 1.9%; Romania 1.5%; France 1.3%; other 24.9%. Dynastic disputes led in 1580 to the succession of Philip II of Spain to the Portuguese throne. A revolt ended Spanish hegemony in 1640, and the House of Braganca was established as Portugal's ruling family, lasting until the establishment of the Portuguese Republic in 1910. During the next 16 years, intense political rivalries and economic instability undermined newly established democratic institutions. Responding to pressing economic problems, a military government, which had taken power in 1926, named a prominent university economist, Antonio Salazar, as finance minister in 1928 and prime minister in 1932. For the next 42 years, Salazar and his successor, Marcelo Caetano (appointed prime minister in 1968), ruled Portugal as an authoritarian "corporate" state. Unlike most other European countries, Portugal remained neutral in World War II. It was a charter member of NATO, joining in 1949. In the early 1960s, wars against independence movements in Portugal's African territories began to drain labor and wealth from Portugal. Professional dissatisfaction within the military, coupled with a growing sense of the futility of the African conflicts, led to the formation of the clandestine "Armed Forces Movement" in 1973. The downfall of the Portuguese corporate state came on April 25, 1974, when the Armed Forces Movement seized power in a nearly bloodless coup and established a provisional military government. Socialist Party (PS) Prime Minister Jose Socrates resigned in March 2011 after his minority government's austerity plan was rejected by the parliament. Rising unemployment and unsustainable public sector deficits led his caretaker government to seek a May 2011 EU/International Monetary Fund bailout agreement. Social Democratic Party (PSD) Prime Minister Pedro Passos Coelho's government took office following June 5, 2011 parliamentary elections. Since then, the new government has been largely preoccupied with the implementation of broad austerity measures pursuant to the agreement. Social Democrat Anibal Cavaco Silva, a center-right candidate and former prime minister (1985-1995), won the Portuguese presidential election on January 22, 2006 with 50.6% of the vote, becoming Portugal's first center-right head of state in 3 decades. He was re-elected on January 23, 2011 with 53% of the vote and was sworn in on March 9, 2011. The Portuguese economy experienced boosts when Portugal joined the European Union in 1986 and the European Monetary Union (EMU) in 1999. In recent years, however, it suffered from sluggish to negative growth, a ballooning budget deficit, and low productivity and competitiveness, which, exacerbated by the onset of the euro zone debt crisis, led to record-high spreads on sovereign debt and downgrades in credit ratings. On May 3, 2011, Portugal's Socialist caretaker government reached agreement with the European Commission, European Central Bank, and International Monetary Fund (IMF) — "the troika" — on a €78 billion (approx. $111 billion), 3-year bailout package that required Portugal to implement comprehensive austerity measures, including privatization of state-owned enterprises and measures to reform its labor market and justice sector. 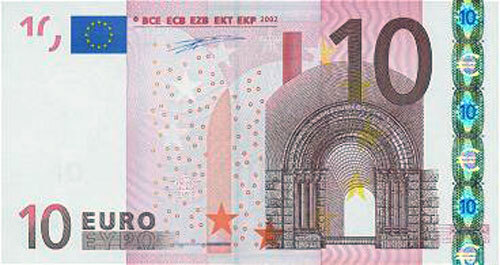 The package was approved by EU and euro zone finance ministers in mid-May. The new PSD-led government of Prime Minister Coelho took office in June 2011. The troika has given the Portuguese Government high marks for its implementation of the agreement, while identifying gaps and areas for improvement. Although workers have organized protests and strikes to oppose austerity measures, demonstrations have been relatively nonviolent. Nevertheless, Portugal's economic future depends heavily on wider euro zone developments. Before the economic crisis, Portugal's membership in the EU had contributed to stable economic growth, largely through increased trade fostered by Portugal's low labor costs and an influx of EU funds for infrastructure improvements. Portugal's subsequent entry into the EMU brought exchange rate stability, lower inflation, and lower interest rates. Falling interest rates, in turn, lowered the cost of public debt and helped the country achieve its fiscal targets. Until 2001, average annual growth rates consistently exceeded those of the EU average. However, a dramatic increase in private sector loans led to a serious external imbalance, with large capital account deficits that year. De-leveraging by Portuguese banks to meet the June 2011 EU requirement to increase core tier-one capital ratios above 9% has caused bank lending to tighten. The Government of Portugal managed to keep the budget deficit under 3% in accordance with the euro zone's Stability and Growth Pact during 2002-2004. However, in 2005 Portugal's budget deficit surged to a high of 5.9%. Subsequently, the government undertook efforts to bring the budget situation under control. In 2006, the government reduced the deficit to 4.1%, mainly through revenue-generating measures, including increased collection enforcement and higher taxes. The 2007 budget further reduced the deficit to 3.1% of GDP, through spending cuts and structural reforms. In 2009, however, the budget deficit soared to 10.1% of GDP as a result of a more than 11% drop in tax revenue. Portugal's public debt reached 93% of GDP in 2010, with a projected increase to 97.3% of GDP in 2011. Helped in part by a wider EU recovery, the Portuguese economy grew by 2.74% in 2007, up from 1.4% the previous year. But a slowing regional economy saw the Portuguese economy contract by 0.35% in 2008 and by 2.1% in 2009. Although GDP grew 0.91% in 2010, it contracted 1.6% in 2011 and is projected to contract 3.2% in 2012 as a result of higher taxes and public wage cuts introduced under the government's austerity program. Unemployment is expected to rise in coming years and reach 12.5% in 2011, 13.8% in 2012, and 14.2% in 2013, up from 7.6% in 2008, 9.5% in 2009, and 10.8% in 2010. The service sector, which includes public service, wholesale and retail trade, tourism, real estate, and banking and finance, is now Portugal's largest employer, having overtaken the traditionally predominant manufacturing and agriculture sectors since the country joined the EU in 1986. EU expansion into Eastern Europe has negated Portugal's historically competitive advantage of relatively low labor costs, particularly in the manufacturing and agriculture sectors. Since 2009, governments have been working to change Portugal's economic development model from one based on public consumption and public investment to one focused on exports, private investment, and development of the high-tech sector. Due to weak economic growth, Portugal has lost ground relative to the rest of the EU since 2002. Portugal's 2010 per capita GDP stood at 80 Purchasing Power Standards (PPS) compared to the EU-27 average of 100 PPS, leaving the country in last place among its Western European counterparts after accounting for price differences (but ahead of EU's newest members). Now among the weaker economies in the EU, and the third euro zone member (after Greece and Ireland) to request a bailout, Portugal aims to reduce its budget deficit to 5.9% (from 9.1% in 2010) of GDP in 2011, 4.5% in 2012, and 3% in 2013. In accordance with the terms of its bailout agreement, Portugal has until 2014 to bring its budget deficit back below the mandated 3% euro zone limit. In 2010, the government implemented a series of austerity measures, including cutting public sector wages, reducing attrition replacement hiring, decreasing pension benefits for early government retirement, and increasing taxes. The government's 2012 budget, considered the most demanding in 30 years, includes salary cuts for public sector employees, benefit cuts, and tax hikes. The government seeks to impose fiscal discipline and further reduce its deficit over the next 3 years through structural reform measures, as agreed upon with the EU and IMF. Portugal has been a significant beneficiary of European Union funding and is a strong proponent of European integration. Portugal has consistently supported EU expansion, including entry talks with Turkey. Of Portugal's three foreign policy priorities (EU, transatlantic ties, Lusophone states), the EU is the most important. EU policies and regulations increasingly direct Portuguese law and policy, and Portuguese foreign policy is increasingly influenced by a need for EU consensus. Portugal is a member of the "Schengen" passport-free zone. Portugal joined the United Nations in 1955 and holds a non-permanent Security Council seat for 2011-2012, having previously served on the Council in 1979-80 and 1997-98. Portugal is an active participant in UN organizations, and is seeking a seat on the Human Rights Council for 2014-2017. Portuguese forces participate in many UN operations, including Congo, Guinea, Lebanon, and Timor-Leste. Portugal is a founding member of NATO; it is an active member of the alliance, and Portuguese forces participate in NATO operations in Afghanistan and Kosovo. Portugal hosted the 2010 NATO Summit. Portugal is a key member of the Community of Portuguese-Speaking Countries (CPLP), an organization headquartered in Lisbon intended to unite Lusophone nations and discuss promoting the Portuguese language as well as political and economic linkages. 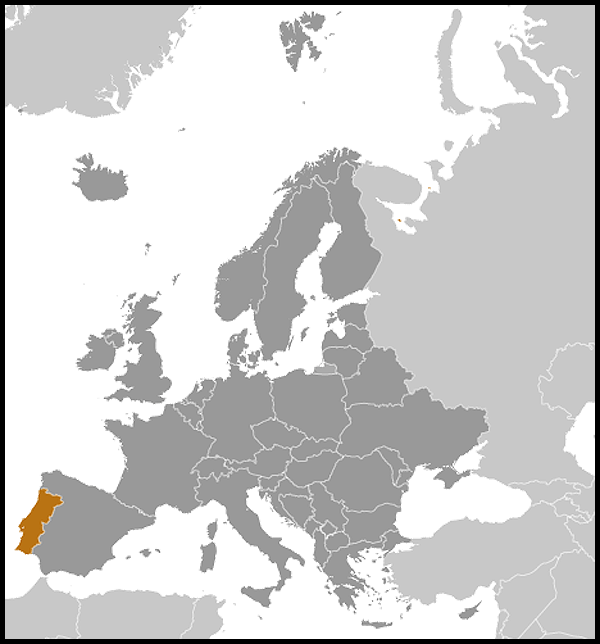 Portugal is also a member of the Community of Democracies (CD) and has participated in a series of Ibero-American summits. Portugal was a strong advocate of independence for Timor-Leste, a former Portuguese colony, and has provided troops and money to Timor-Leste in close cooperation with the United States, Asian allies, and the United Nations. Bilateral ties date from the earliest years of the United States. Following the Revolutionary War, Portugal was among the first countries to recognize the United States. On February 21, 1791, President George Washington opened formal diplomatic relations, naming Col. David Humphreys as U.S. minister. The oldest continuously-operating U.S. Consulate in the world, since 1795, is in Ponta Delgada on the island of Sao Miguel in the Azores. Contributing to the strong ties between the United States and Portugal are the sizable Portuguese communities in Massachusetts, Rhode Island, New Jersey, California, and Hawaii. The latest census estimates that 1.3 million individuals living in the United States are of Portuguese ancestry, with a large percentage coming from the Azores. There are about 20,000 Americans living in Portugal. The United States-Portugal defense relationship is strong and enduring. The current U.S.-Portugal Agreement on Cooperation and Defense (ACD) was signed in 1995; however, a U.S. military forward presence at Lajes Field, in the Azores, extends back to World War II. U.S. Air Forces Europe's 65 Air Base Wing, in close cooperation with the Portuguese Air Force, ensures that Lajes Field remains an important logistic hub for U.S. Transportation Command, U.S. European Command, and NATO Allies. Access to Lajes Field is a key component of U.S. European Command's engagement in Portugal. This access supports deployed U.S. forces throughout Europe, the Middle East, Asia, and Africa. U.S. missions supported by a presence at Lajes Field include counterterrorism, humanitarian, and combat operations in Afghanistan and Iraq. Portugal values the transatlantic alliance and advocates within the European Union and NATO for strong European ties with the United States, particularly on defense and security issues. The Portuguese Government is open to greater cooperation with U.S. Africa Command to synchronize engagement efforts, and to enhance bilateral and multilateral cooperation with the U.S. on the African continent. Portugal hosted a NATO Joint Command Lisbon until June 2011, when NATO command structure reforms agreed at the 2010 Lisbon NATO Summit took effect. Also as part of the restructuring agreement, Naval Striking and Support Forces NATO (STRIKFORNATO) will be transferred from Italy to Portugal. This is NATO's premier maritime battle staff and the Alliance's primary link for integrating U.S. maritime forces into NATO operations. U.S.-Portuguese trade is relatively small, with the United States exporting $1 billion worth of goods in 2010 and importing an estimated $2.1 billion. While total Portuguese trade has increased dramatically over the last 10 years, the U.S. percentage of Portugal's exports and imports has been growing at a slower rate. The Portuguese Government is seeking to increase technology and service exports, as well as traditional products (textiles and footwear) to the United States and is encouraging greater bilateral investment. U.S. firms play significant roles in the pharmaceutical, computer, and retail sectors in Portugal, but their involvement in the automotive manufacturing sector has declined in recent years. Pursuant to the 1995 ACD, a U.S.-Portugal Standing Bilateral Commission meets semi-annually to review all aspects of the bilateral relationship, including defense cooperation, science and technology cooperation, bilateral trade and investment, cooperation in the Azores, justice and home affairs, political and diplomatic cooperation, and consular issues. The U.S. Embassy is located at Avenida das Forcas Armadas, 1600-081 Lisbon, Portugal (tel. : +351-21-727-3300). The embassy homepage is: (http://portugal.usembassy.gov/). The consular agent in Funchal, Madeira is Edgar Potter (tel. : +351-29-174-1088).